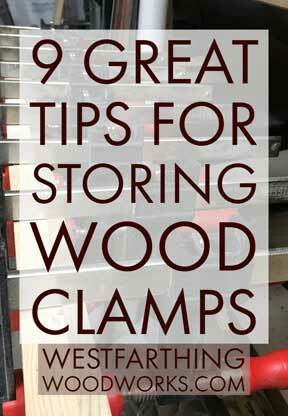 This is 9 Great Tips for Storing Wood Clamps. I’m going to show you the best way to store your clamps so that you always have them ready when you need them. Plus, I’ll share a quick set of plans to make your own clamp rack. Enjoy. Every woodworker knows that you need a lot of clamps. This is just part of the process, and it takes a lot of clamps to hold everything together while your glue dries. Over the years, the number just keeps on increasing, and eventually you end up with a lot of clamps. 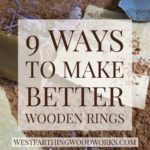 In the beginning, storing your wood clamps really isn’t much of an issue. 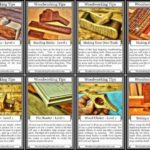 However, over time you can end up accumulating quite a bit of clamps that need their own dedicated space in order to not become a mess. Thankfully, storing your clamps is not that difficult. You probably already have a couple of good places that you can do it, and clamps can store a number of different ways. That’s good for you, and good for your clamps to. Here’s a little preview of all the different tips and ways to store your clamps that are coming up. I’ll go into each one of them in more detail of course, and at the end you’ll see a drawing for your very own clamp rack. One of the cool secrets about storing clamps that you can do it on the wall. Wall storage is awesome for 100 different reasons. The absolute best reason is that it doesn’t take up any floor space, which means your shop doesn’t get any smaller. Most of the time when you have to store some things in your shop, that means losing a little bit more of that oh so valuable floor space. Most of us have a small shop anyway, so any time you bring something in it can be noticeable if it takes up a lot of space. Since space is at a premium, it makes sense to use wall space rather than floor space to do your clamp storage. The other nice thing about wall spaces that you have it everywhere, and being in a number of different places means you get to choose. The big tip about storing clamps on your wall is to anchor deep. Clamps are heavy. Especially when you have 50 of them hanging from the same section of wall. If every one of your clamps is 3 pounds, 50 of them means you have 150 pounds hanging from the wall. This can become quite a hazard, so make sure that you plan your space accordingly, and that you anchor very deeply into those wall studs for extra security. Especially if you have a little kids that play around in the shop with you, that extra security will be well worth it. If adding a clamp rack to the wall isn’t your thing, you can always use your bench. The nice thing about most workbenches is that they have sides and legs that aren’t really used for anything. This is prime real estate for clamp storage. Just like a rack on the wall, you can mount a rack to your workbench. 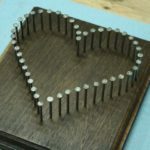 This can be hung from the side, or built right on the workbench depending on the design. You can go off to the side, the back, or even an area in the front as long as it’s not in your way. While this isn’t exactly as efficient as putting it on the wall, if you add it to the bench it’s not going to take up as much floor space as making another area for a clamp rack. This means you get more organization out of your clamps, and you still don’t lose much floor space, if any. Another good recommendation for your wood clamps is that you keep your storage location close to where you’re actually going to be using the clamps. This makes sense, because you’ll always have them within reach when you need them. Another reason for this is when you end up making the inevitable mistake of not grabbing enough clamps for a particular job, the rest won’t be very far away. 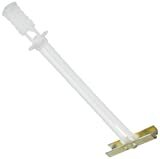 This means you’ll be able to grab the extra that you need, and not ruin your glue job. Also, it’s nice to have your tools organized this way. When you keep things that you use in close proximity to each other and near other tools that are used together, it just works out better than scattering them everywhere. For example, when you are doing your glue ups, it’s nice to have the clamps, rags, mallet, and wood glue all in the same spot. This way, basically everything you need to do the job is right there, and you don’t have to hunt for things. When you design your clamp rack, make sure you think about the clamps that you have. While this might seem extremely obvious, don’t skip this section. You really should go through your shop, and pull out every clamp you have before you start designing. If you’ve been woodworking for a while, that means you’ve been accumulating clamps for a while. 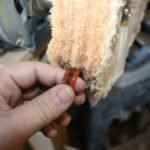 You may not even know what you have, and I wouldn’t be surprised if you went out to the shop and discovered more clamps than you thought you had. If you discover an extra pile of clamps that you didn’t plan into your design, do you run the risk of just building the rack without enough room. The point of the rack is a get them all out of your way, so make sure you know everything you have before you make a design. The biggest challenge in a clamp rack is the smaller clamps. Most big clamps work fine on the common rack styles, but smaller clamps are a bit more of a challenge. Thankfully, there’s an easy way to address it. Bins. Bins are the best way to handle your tiny clamps. Not only are they easy to make, inexpensive, and easy to integrate with a ladder rack, bins can hold a ton of small clamps very quickly and efficiently. Simply create some small rectangular bins for the bottom of your rack, and secure them with nails and glue. These bins keep all of your smaller clams within reach, and all you need to do is dump them in the bin in order to have them organized. 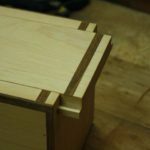 If you have several types of smaller wood clamps, then build a couple of different bins that can house the different clamps. This way you can keep them separated, and you won’t have to dig through one big bin to find the clamp that you’re looking for. One of the main points in making a clamp rack is that you have good storage, but that you also have good organization. 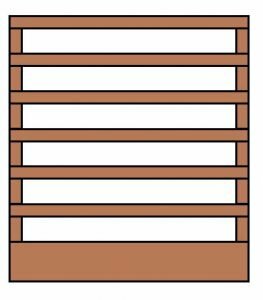 The organizational element of a good storage system also helps to be efficient, which in the end helps you be a better woodworker. 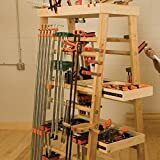 Most long clamps, like bar clamps and F style clamps can benefit from a simple ladder rack storage design. This is where several pieces of wood arranged like a ladder are used to hold the clamps. The nice thing about the ladder rack is that longer clamps can be opened up and placed on a wider set of rungs. Smaller clamps can use less rungs and still hold tightly. You can even double stack the clamps if your ladder rack is tall enough. This is probably the most versatile design for storing clamps, and it’s also a way to stay very organized. You can group your clamps by length, and organize them all next to each other. It makes it very easy to know what you have, and how many of each size. Again, if you are anchoring your clamp storage to the wall, make sure you go very deep into those studs, and make your rack very sturdy. Heavy bar clamps can add a lot of weight to the wall very quickly. While you’re designing your rack, make sure to plan for the future. If you’re the type of person that likes to buy new clamps every so often, plan those into your design so that way you’re not disappointed when they don’t fit. 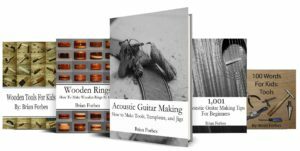 If you have been a woodworker for a while, you know your taste. You know that every year around Christmas you buy a certain set of clamps, or you know that you wait for a certain event to buy more of a specific style. If this is you, make sure you leave a little extra open space for the future. It doesn’t have to be a lot, but at least you’ll be able to add more to the rack before you have to build another. It’s a good practice, and your rack will be at least a little future proof. 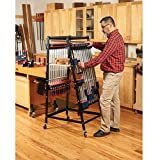 If you absolutely have a ton of clamps, then you might need to think about having multiple storage areas instead of just one. Even if you don’t have a lot of clamps, using multiple storage areas has some advantages. The main advantage to store in your clamps this way is you’ll never really have to walk very far to get yourself a clamp. You can also set up multiple work stations with clamps nearby so that way each station has its own clamps. This will allow you to do more production line work, and work in stages rather than working from start to finish. 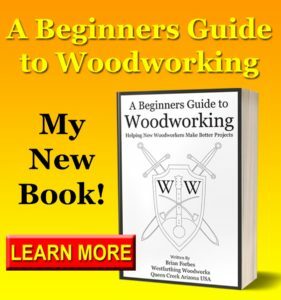 This can be advantageous to you, and help you build better as a beginning woodworker. The linear thinking in production line work makes building multiple items a lot easier than building them from start to finish one at a time. When you do several of the same thing over and over again, you focus your energy, and you do better work. There is also a lot less switching gears, which has been proven to actually waste time. You use a lot of minutes just preparing for the next step. Where as doing things over and over means you get to use the same set up over and over, so you don’t spend the time more than once. 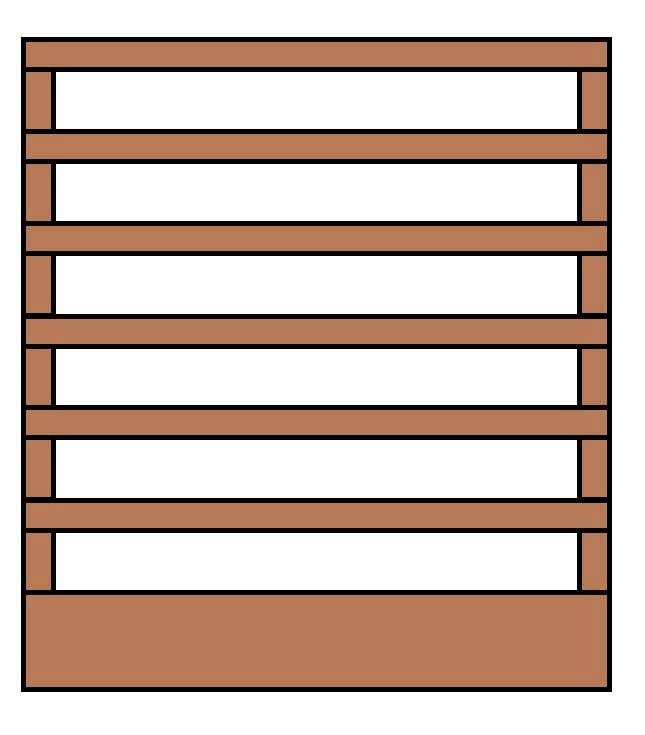 As promised, here is a simple set of woodworking plans for a system for storing with clams that you can adapt to your specific shop. You can change the dimensions, make it larger, make it smaller, or even rearrange the elements. The point of this drawing is to be a good start, and then you take the plans and make them your own. Add what you need, take off what you don’t, and create the perfect clamp storage system for your shop and it’s specific needs. Also, if you take my set of plans and make something amazing, please make sure to send me an email with some pictures because I’d really love to see it. Also, you just might end up on the website. The rungs and uprights are all made from 1×4 lumber, and the bottom section is 1×6 made into a large bin with dividers to serve as bins for smaller clamps that can’t hang. Make yours at least a few feet wide and a few feet tall, and the rest is just details. Lay out your clamps, and you will have a good idea of the size you need. Now that you know how to get your clamps off the bench, out from storage areas and in dusty piles, it’s time to take action. In the time that you read this post, you could’ve already started planning your rack. Start with my drawing as a base, and head out into your shop and get all of your clamps out you can see them. Dig deep, and make sure that you have all of your clamps represented, and you have a good idea of how many of each you have. Plan a little extra space so that way your rack his future proof, and start drawing. Draw as many ideas as you need to in order to come up with a rack that you’re happy with. Once you’re there, measure your clamps and make sure that they will all fit. Assuming everything checks out, it’s time to grab some wood and start building. Find a place to hang your rack, and apply light finish to preserve the wood. After it dries, add your clamps, and you’ll be happy to have a nice clamp storage area. Happy building.